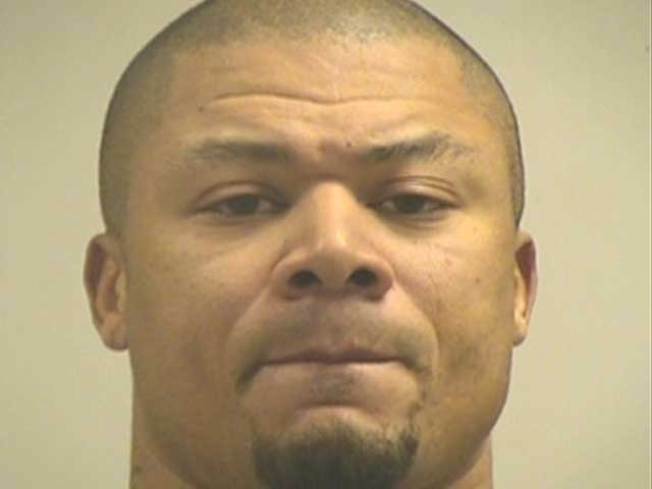 Former Dallas Cowboy Terry Glenn was arrested for failing to return a leased vehicle according to the Irving Police Department. Former Dallas Cowboys wide receiver Terry Glenn was arrested Tuesday night on a charge of auto theft after failing to return a rented car on time, Irving police said. Glenn's attorney, Luis Vera, of San Antonio, called the arrest a "crock of garbage." After renting a 2009 Chevrolet Suburban on Nov. 10, Glenn failed to return the vehicle to National Rent-A-Car on time, Dallas/Fort Worth International Airport police said. Vera told the Associated Press that Glenn rented the sport utility vehicle while his Bentley was in the shop. He said Glenn was on his way to return the vehicle when police stopped him and arrested him, telling him National had reported the vehicle stolen. Glenn was booked at about 7 p.m. Tuesday and released at about 1 a.m. Wednesday on his own recognizance. Vera told the Dallas Morning News that his client rented the vehicle under the direction of an insurance company while his car was being repaired. He said National had his Glenn's credit card number and could have charged whatever balance was owed before reporting the car stolen. He also told the newspaper that Glenn was very upset about incident and how it was being portrayed in the media. National Car Rental spokeswoman Laura Bryant said there had been communication between its agent and Glenn before the vehicle was reported missing. She didn't elaborate. Glenn was previously arrested on Jan. 25, 2009 on a charge of public intoxication, possession of marijuana and for four outstanding traffic warrants at an Irving hotel. He was also arrested on suspicion of public intoxication in 2005 when officers caught him urinating behind a fast-food restaurant dumpster, and on suspicion of assaulting the mother of his then-5-year-old son in 2001, according to the Dallas Observer. Glenn was drafted in the first round of the NFL draft in 1996 by the New England Patriots. He played 12 NFL seasons with the Patriots, the Green Bay Packers and the Cowboys. Injuries plagued the receiver the last few years of his career, leading up to the Cowboys releasing him from its roster July 25, 2008. NBCDFW's Ashanti Blaize contributed to this report.